The Next Generation Bed Frame - The SmartBase MyEuro Wooden Slat Mattress Foundation by Zinus. The MyEuro SmartBase eliminates the need for a box spring as your memory foam, spring or latex mattress should be placed directly on the SmartBase. 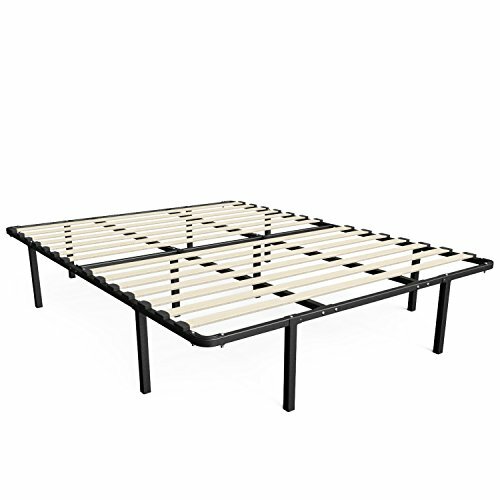 Uniquely designed for optimum support and durability, the strong steel structure and wooden slats provide mattress support, multiple points of contact with the floor ensure stability and durability. With plastic caps to protect your floors, the MyEuro SmartBase is well designed for ease of use. Worry free 5-year limited warranty. Another comfort innovation from Zinus. Pioneering comfort.